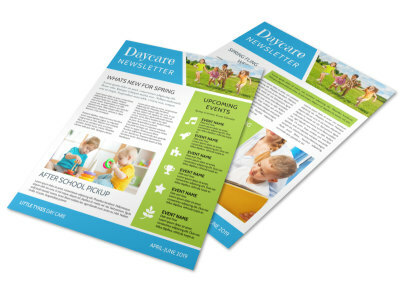 Parents love to hear about what their kids are doing and see them in action; provide that for them with a custom newsletter designed using our child care newsletter templates. Pick a template you like, then add photos and artwork to show off how your students have been spending their time. Insert text in fonts and colors of your choice for your newsworthy stories, and then dress up each section with graphics and other elements. 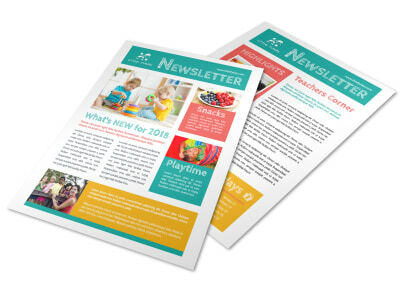 Take the hard work out of newsletter creation; start now! As a daycare provider, you end up with a significant portion of your charges’ waking hours. 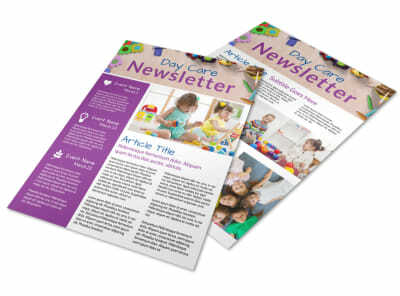 Milestones, new friendships, funny stories are a routine part of a day in the life of your in-home or center-based daycare. Of course, your getting to experience those special moments means that mom and dad are missing out on them. 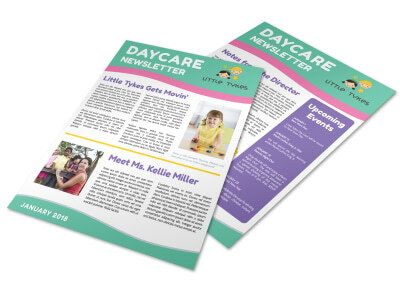 In addition to one-on-one communication, keep your families connected by producing a customized, regular daycare newsletter that gives highlights, celebrates accomplishments, and ensures that busy parents can stay on top of what their kiddos are up to. 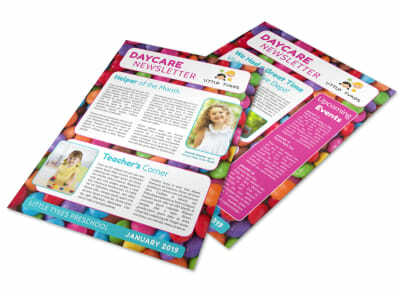 We offer a wide variety of professionally-designed and totally customizable templates for you to choose from, and we make the design process a snap. 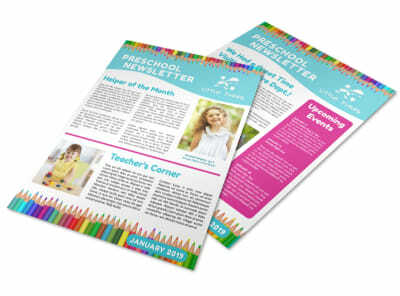 Each newsletter can be printed by you, attached as a PDF to an email you send to your clients, or we can provide you with a premium printing job – the choice is yours!